Florida is one of the country’s fastest-growing CBD oil markets, with stores shooting up all around the state. At our count, only California has more CBD-stocked shops, putting Florida far ahead of comparable states like New York, Illinois, Texas, and Pennsylvania. To help you navigate all your options, we’ve compiled a brief, in-exhaustive list of where to buy the best CBD oil in the state. Miami has over two dozen of the best CBD oil shops in Florida, nearly all of which are very affordable. In the heart of Miami Beach, The Joint Smokeshop (710 Washington Ave, Miami Beach, FL 33139) has a perfect 5-star rating and carries a range of CBD oil products, vaporizers, hookahs, and more. Reviewers unanimously praise the staff’s knowledge and service, and the shop is open seven days a week. Not far away, Nugbrand South Beach (1422 Alton Rd, Miami Beach, FL 33139) has the largest selection of CBD products in Florida and is one of the state’s premier destinations for CBD oils, with two additional locations (2324 N Miami Ave. Miami, FL 33127; 2206 NE 123rd Street North Miami, FL 33181). If you’re around Coral Gables, be sure to give Nutrition Empire (4583 Ponce Deleon Blvd, Coral Gables, FL 33146) a visit any day of the week. 101 Vapor & Smoke Shop (10110 NW 27th Ave, Miami, FL 33147) is another great CBD-oil seller just east of Hialeah in West Little River. Established in 2016, 407 Smoke Shop (4316 Curry Ford Rd, Orlando, FL 32806) in Downtown South is Orlando’s best in-town CBD oil shop. Open seven days a week, until 1AM on Friday and Saturday, 407 customers highlight the store’s variety of CBD products and the staff’s inventory knowledge and friendly customer service. A short drive to Kissimmee puts you at Smokes 4 Less (602 E Vine St, Kissimmee, FL 34744) and Puff n Stuff Vape Shop (1309 E Vine St, Kissimmee, FL 34744), each of which offer a range of brand name hemp CBD oils, juices, and accessories at cheap prices. Vapin Crazy E-Cigs and Juices (3000 Deer Creek Commerce Ln, Davenport, FL 33837) is a five-star rated shop within reach, and 441 Vapors (16850 S US Hwy 441, Summerfield, FL 34491) is halfway between Orlando and Gainesville. Tampa has a rapidly expanding CBD oil scene and plenty of carriers. Hot Wax Glass Ybor (1524 E 7th Ave, Tampa, FL 33605) is right near downtown, offering a great selection at fair prices. Best Smoke (2120 S Macdill Ave, Tampa, FL 33629) in Palma Ceia is another solid location nearby. It’s open Monday through Saturday (10AM-9PM). 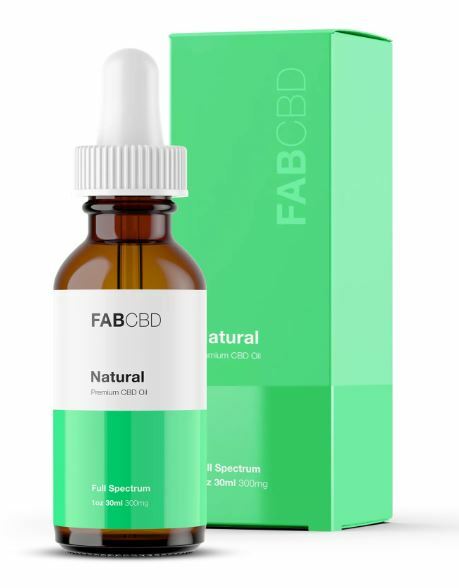 You’ll find CBD oil, CBD gummies, kratom, and much more, including excellent promotions and discounts for high-quality, brand name products. Toward Old Tampa Bay, The Smoke Bodega (911 Sheldon Rd, Tampa, FL 33615) boasts a diverse inventory of CBD oil, hemp products, dry herb products, vaporizers, candles, and incense, among others. Finally, in the St. Petersburg area, Cloud9 Galleries (1661 W Bay Dr, Largo, FL 33770) and Vapor Dog (4260 Park Blvd, Pinellas Park, FL 33781) sell high quality CBD oil products at cheap prices and employ knowledgeable, friendly staff members. There are only a few shops in Jacksonville. Newly opened in 2017, CBD HUGS (6857 St Augustine Rd, Jacksonville, FL 32217) is Jacksonville’s central shop, just off I-95 toward the St. John’s River, offering CBD edibles, tinctures, oils, and creams. If you’re by the beach, check out New Start Vapor (2292 Mayport Rd, Atlantic Beach, FL 32233) for premium high-concentration CBD products, seven days a week. Blue Crystal Cornucopia (1801 NE 23rd Ave, Gainesville, FL 32609) is conveniently located right by the University of Florida’s Eastside Campus. In addition to CBD products, the shop offers herbs, hemp clothing, massage services, and more.